C.U.Shah Arts College has organised “ Vijay Padma- Debate Competion”. Our students named Harendrasingh and Vishvesh Pandya participated in this competition under guidance of Hindi Method Master Ms. Jhanara Rangrej. 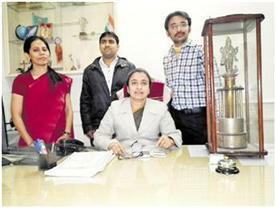 They got “ Vijay Padma shield “ for institute as well as Harendrasingh personally secured 1st rank. This victory has brought glory to our institute.